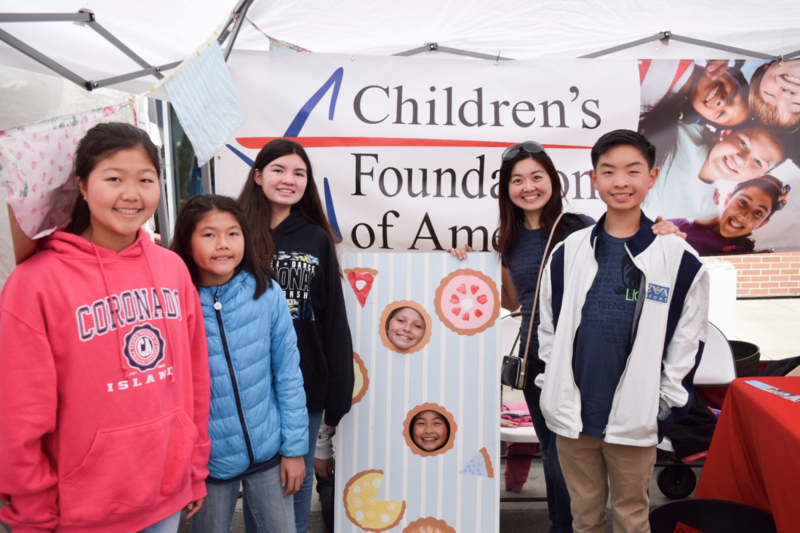 On March 23 local pie lovers united for Claremont’s annual Pie Festival – a gathering dedicated to great food, supporting local businesses, and good causes. Among the many festivities were celebrity bakers, pie-making demonstrations, live music, vendors, food trucks, a pie eating contest and a classic car show. Residents filled the streets to partake in the festivities. The festival ended with a large pie tasting buffet for everyone to join. 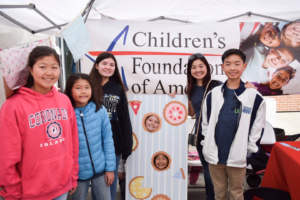 Nestled between rows of food and local artwork, The Children’s Foundation of America had their own booth dedicated to raising funds to support foster youth. 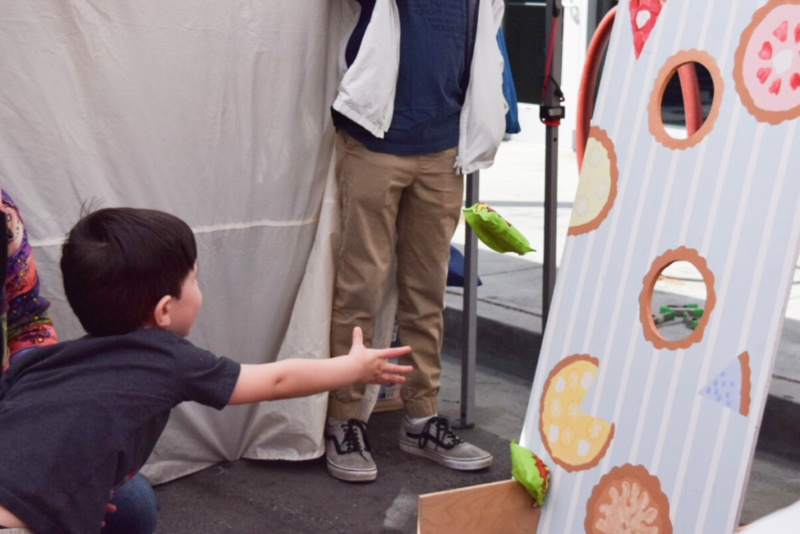 For just a $1 donation we invited attendees to test their skills with a bean-bag toss to win stickers and prizes! We also sold tickets to our upcoming comedy show, Funny 4 a Reason, and supplied information on how to become a volunteer. The Children’s Foundation of America is supported by great volunteers and donors who aid us in our mission. Get involved today! For more information on upcoming events and opportunities to donate, click here!